Sogn is a part of the world’s northernmost fruit region. Here apricot and grapes can grow in the fields— not far from the enormous ice mass of the Jostedal Glacier. In Sverris saga we can read about “Aldinshagi” (the apple orchard) in Vik in Sogn. Aldin is Old Norse for apple tree. This is the first documentation of Norwegian fruit cultivation, showing that the inhabitants of Sogn grew apples before the arrival of monks. The fruit tradition in Sogn is primarily represented in the municipalities Balestrand, Vik, Leikanger, Sogndal, Luster, and Lærdal. 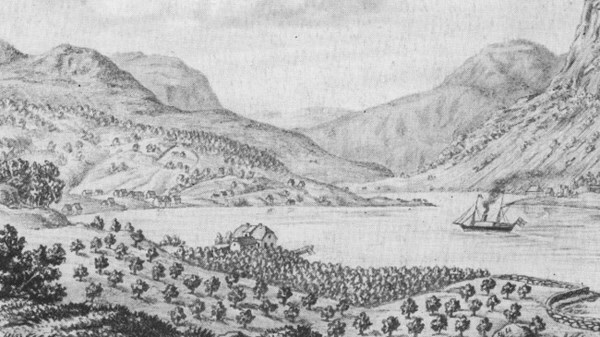 Stedje farm in Sogndal once had the largest fruit orchard in the Nordic countries. Apple varieties like Kaupanger, Fosseple and Fuhr have their origins in this region. Preservation of fruit and berries also has long traditions, strongest represented by the companies Drægni and Lerum. ​As for commercial fruit cultivation in Balestrand, pastor H.U. 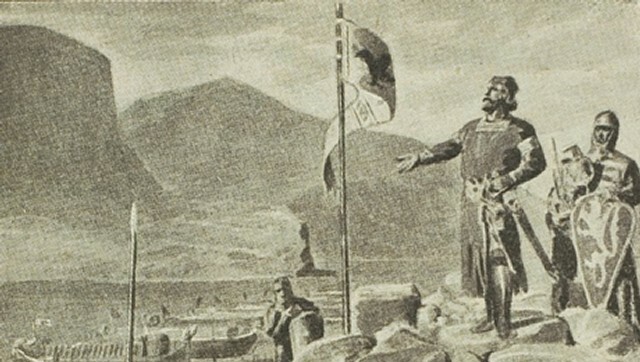 Sverdrup (1813) played an important role. He planted Norway’s first tree of the pear variety Bon Chretin. The local variety Port Apple also has its origin in Balestrand. In the 1870s Sverdrup had 46 pear varieties, 22 apple varieties, and 15 plum varieties in Lunde Arboretum. Today the arboretum is famous for its collection of tree varieties from warm climates, with Norway’s largest monkey puzzle tree, real chestnut trees, cedars, and so on. The arboretum is well worth a visit! From around 1850 Balestrand grew into one of the most important tourist destinations in Western Norway, and Kviknes Hotel was built into the crown jewel of of the "Swiss" architectural style. The national romantic movement fixed its attention on the wild and dramatic fjord landscape in Sogn. Many famous painters found inspiration in Balestrand and settled here in dragon-style villas. Today, along the old road running from the village center along the fjord, lies Scandinavia’s largest concentration of dragon-style villas. This flow of travelers made it possible for farmers to grow raspberries and strawberries commercially for sale to tourists and hotels. Balestrand thus became one of the first municipalities in the country with a commercial berry industry. Around 1900 the first fruit press came to the village from Frankfurt, Germany. Balestrand’s Saftpresseri (Balestrand Juice Factory) was in business until the 1930s and produced juice and fruit wine. In 1957 Balestrand Fruktpakkelag (Balestrand Fruit Storage) was established as a producer-owned processing facility for fruit and berries.